England’s Patron Saint and William Shakespeare will both be celebrated in Bury St Edmunds on April 23 as the town marks St George’s Day and Shakespeare’s 400th anniversary. The town will be flying the flag of St George and businesses and the regular Saturday market stalls will be bedecked with red and white bunting in celebration. Meanwhile actors will be putting on short performances of some of Shakespeare’s best known scenes at different venues in the town centre and St George himself will be there doing battle with an accompanying dragon. 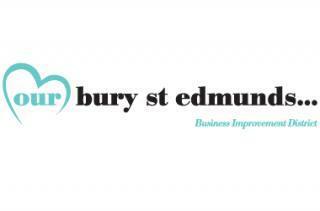 The events are being hosted by the Business Improvement District (BID) organisation Ourburystedmunds in conjunction with The Theatre Royal and St Edmundsbury Borough Council. Ourburystedmunds Chief Executive Mark Cordell said: “Although St Edmund himself has a strong claim on the title of England’s Patron Saint, we’re more than happy to celebrate St George on his special day of the year. As this year also sees a big focus on the 400th anniversary of Shakespeare’s death, we’re working with our partners to recognise both. A pair of actors will be performing scenes from some of Shakespeare’s best known works at four different locations in the town centre throughout the day and will be found at Angel Hill, Langton Place, Cornhill and Charter Square. For more information visit www.burystedmundsfestivals.com.